You can order this James Harris A.K.A. Doc Terror tribute print for a special 35mm screening of Creepshow HERE. 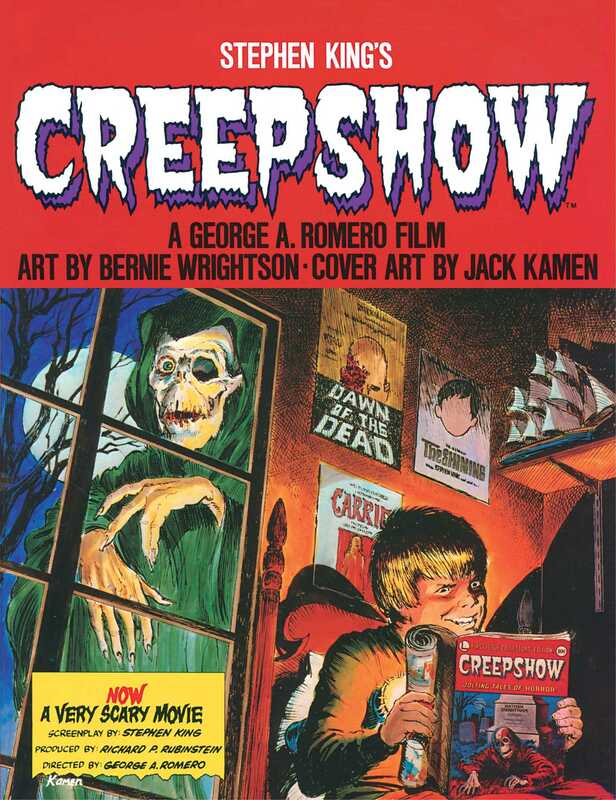 Creepshow, the graphic novel adaptation of the classic horror anthology film written by Stephen King, with art by Bernie Wrightson will be back in print! The graphic novel adaptation based on the 1982 horror anthology and cult classic film directed by George Romero (Night of the Living Dead, Dawn of the Dead)—and featuring stunning illustrations by the legendary Bernie Wrightson and cover art by the acclaimed Jack Kamen will be released on May 9, 2017. 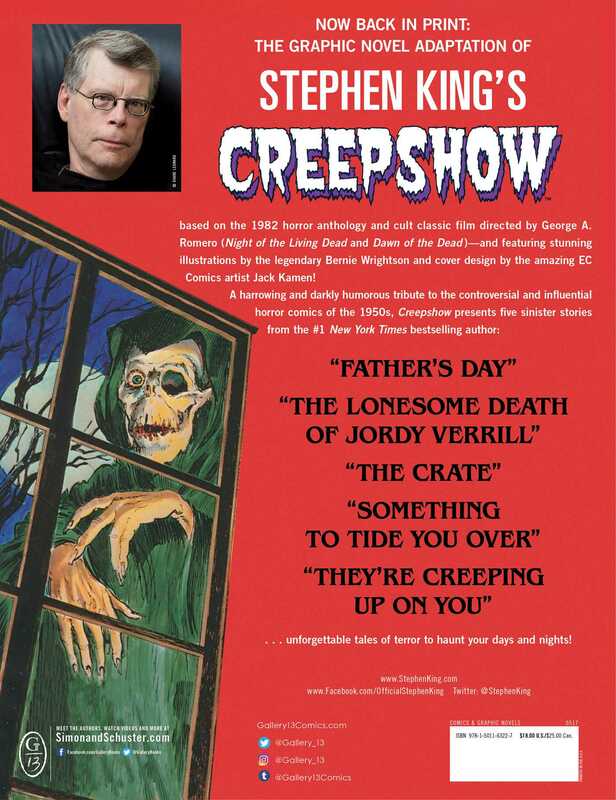 A harrowing and darkly humorous tribute to the controversial and influential horror comics of the 1950s, Creepshow presents five sinsister stories from the #1 New York Times bestselling author—“Father’s Day,” “The Lonesome Death of Jordy Verrill,” “Something to Tide You Over,” “The Crate,” and “They’re Creeping Up on You”…unforgettable tales of terror to haunt your days and nights! 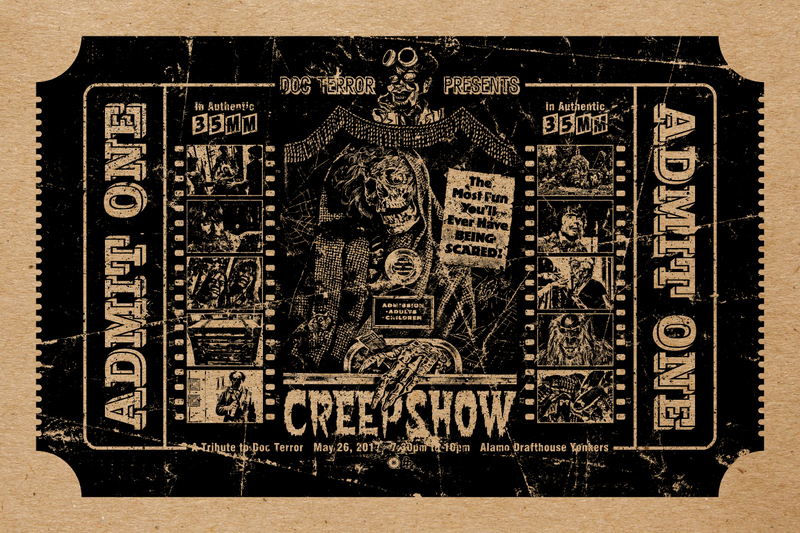 A little over 30 years ago, the dream team of George Romero, Tom Savini & Stephen King came together to create the film Creepshow, and MONDO couldn’t be more excited to present Mike Sutfin’s take on the classic horror anthology. Please follow MONDO on Twitter for the on sale announcement. These posters will be available online at a random time on Tuesday, September 17th.